A few months back, a friend of my cousin started a unique online boutique for little ones called Divas and Drooligans. This site features many goods that are made by mommies in both the USA and Canada. Divas and Drooligans makes every effort to maximize the exposure of mommy-made brands because providing moms the opportunity to bring their work to a national market while still being lovingly available to their own children is a wonderful thing! Thanks to yours truly, Divas and Drooligans is now featuring some organic items and plans to expand this line. 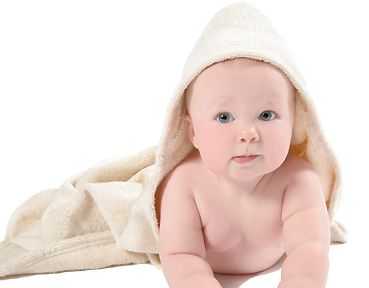 The organic cotton hooded towel and wash cloth gift set is made by Generation Baby in Canada. This gift set is thick, soft, and luxurious! There are many reasons to chose organic cotton for your baby. Commercially grown cotton is grown using pesticides and chemicals that pollute our water and soil. Baby products made from chemical-free organic cotton are less likely to trigger allergies, and they last longer too. Organic cotton becomes softer with every wash, and the fibers do not break down as quickly from the chemical treatment of commercial cotton. There are a lot of other products available from Divas and Drooligans designed to help you reduce waste. For example, the oilcloth wipeable splat mats are durable and versatile, as they could be used under the high chair or as an art drop-cloth. With nearly half of their products made by work-at-home-moms, you can feel good about supporting Divas and Drooligans. « Swapping Kid Gear is Green, Hip Fun! This may be the next big thing. A couple of celebrity moms are going the organic route with their baby clothing lines too. Also, spreading the word about http://www.bkfk.com. They are giving $10,000 to teens who have ideas such as this. I was under the impression oilcloth was made with vinyl?